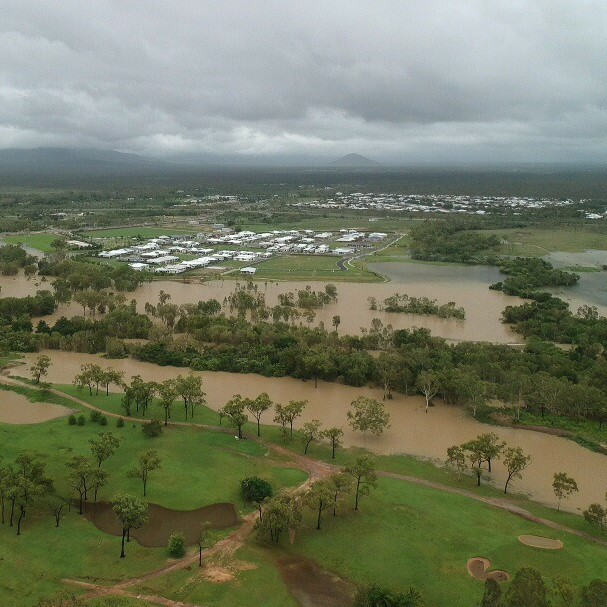 Rainfall totals between 1000mm to 1800mm have been recorded in areas between Paulma and Giru with suburbs like Bluewater receiving 500 to 600mm within a two-hour period causing disastrous flash flooding events. Townsville Bishop Tim Harris was himself caught in the middle of the flooding disaster, having to self-evacuate on Friday afternoon as a precaution. “Water was coming up at the back and front of the house, so I took the advice of others and moved to higher ground” he said. “Talking to neighbours, who were rescued by boat on Saturday, they have described the area as ‘Armageddon’; it will take a long time to clean up. “I haven’t been back to the house yet, but from what I have seen from aerial footage being shown on television and social media, I feel that I will return to a house that has had water rushing through it,” Bishop Harris said on Monday evening. Bishop Harris said the scale of the flooding is something he has never experienced before. “I was a young boy during the 1974 floods in Brisbane and quite isolated from the tragedy of it all,” he recalled. Townsville Catholic Education executive director Jacqui Francis said that most Catholic schools in the Townsville area have escaped any major damage. “I have heard from all principals and they have told me that apart from some small leaks, they have no major damage,” she said. The only school to report any major flooding is St Margaret Mary’s College in Hyde Park. Principal Kathy Park said: “Unfortunately SMMC is in the midst of a major renovation. The staffrooms that we only just moved into have had major damage done by the torrential rain. Crowle Street is under about a metre of flowing water and the rooms on the opposite side of the road will have had water in. One family that has been affected is the Davis family who live in Hermit Park. Army personnel picked up Corey, Aneka and their two girls on Saturday afternoon after the water rose more than a metre in the space of an hour. Mr Davis was born in Townsville and educated at Ryan Catholic College, where he now teaches. Bishop Harris has been heartened by the strength of the community. 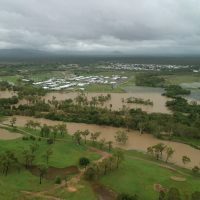 “To see the streets full of SES volunteers, Queensland Fire and Emergency Service, Police and Army personnel roaming the streets offering assistance with evacuations and sandbagging was amazing,” he said. “The people of this area are there for others and in times like this, the real heart of people comes to the front and people are there to help one another. “We all need to remember that we may have lost comfort items like clothes, personal possessions as I have, but we have our lives. When the time is right, and we are able to get back into our homes, we can put things back in place” he said. The rain has not been exclusive to the coastline, with many communities including Hughenden, Richmond, Winton, Julia Creek and Mount Isa experiencing heavy rain periods over recent days. “I have spoken to the mayors of many shires and they have been heartened by the rain they have experienced, but they have said as widespread as the rain has been, there are still parts of their shires that have not had any,” Bishop Harris said.